I'm finally back yay! I was inspired by everyones halloween make up looks that I decided this was how I was going to jump back into youtube. I am 8 months pregnant with my due date next month so my brains a little foggy lol if you have any tutorial suggestions please shoot them my way! 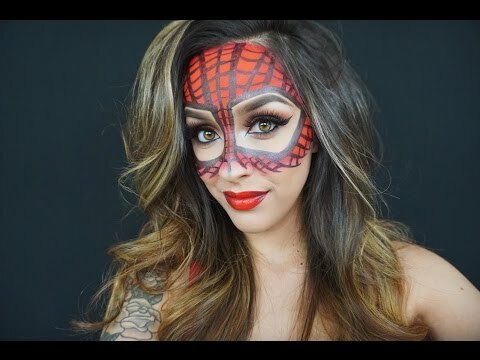 ALSO- I'm so upset because I didn't realize until I was editing this video that my camera stopped recording and didn't film any of the parts of me doing the spiderwoman face paint :( BUT I will say it was very very easy and all I did was purchase some face paint from spirit halloween store, it was just time consuming. I still wanted to upload this since it still is a makeup tutorial and you can always pause it on a part where my face is painted to follow the lines and what not :-) I also plan on doing another halloween tutorial in a few days so stay tuned for that! Thanks so much for watching and please subscribe!